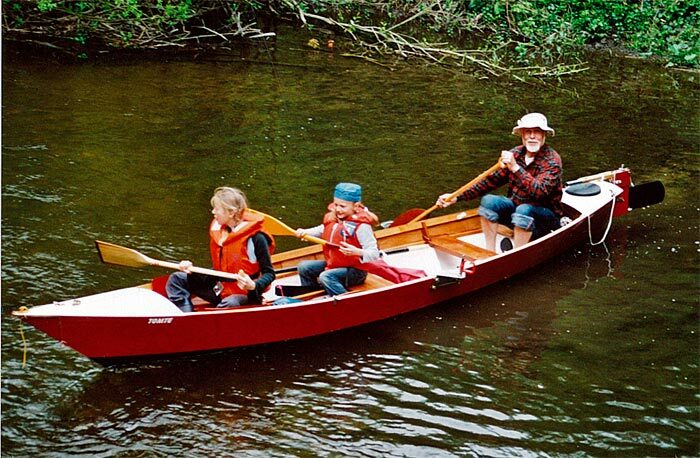 Using John Gardner's Dory Book for instruction and inspiration, G++nter Voss built this 16-foot dory for his grandchildren to use, based on Gardner's 18-foot Light Dory. 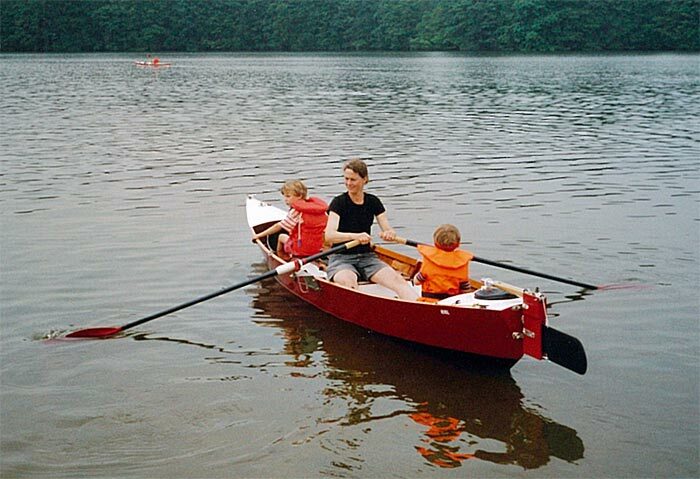 Voss modified the sheer and the top of the transom, and added a centerboard and a small lug rig. 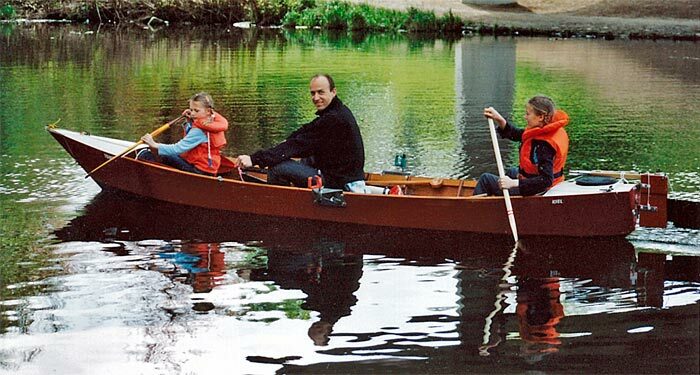 He writes that it is perfect for is grandchildren in that it tracks well, rows easily, and has a nice balance between stability and tenderness.